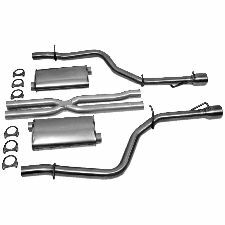 The best discount Exhaust OEM Parts. 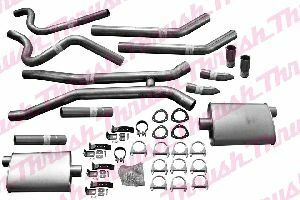 Our inventory is always being updated, searh for Exhaust parts for the following makes. 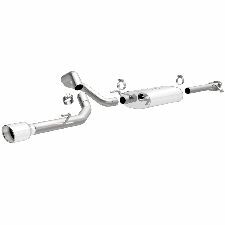 The exhaust system on your vehicle is responsible for allowing pollutants your vehicle makes to exit away from your combustion system. 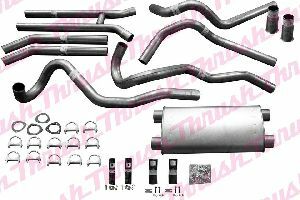 It is a series of pipes that usually protrude out of the back end of your vehicle. 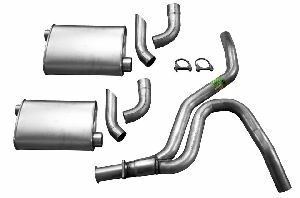 When should you replace your Exhaust? 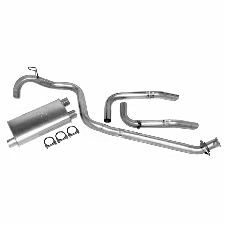 You have to listen carefully to your Exhaust for various sound ques that could mean something is wrong with it while driving or idling. A loud roaring noise when you press down on the gas. A hissing noise would mean it has a crack somewhere in the Exhaust. 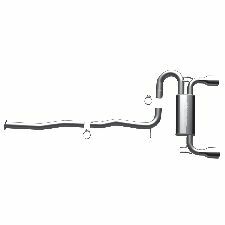 A struggling or chugging noise would indicate there is a blockage in your Exhaust. 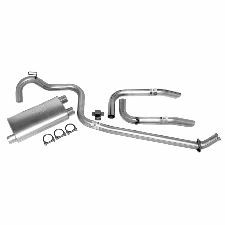 Kit Contents: Intermediate Pipe, Dual Tail Pipes & Necessary Hanger & Clamps. 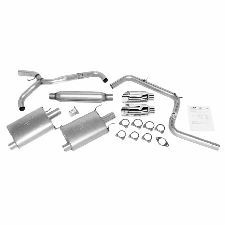 Kit Contents: All Pipes, Muffler, Clamps, Hangers, And Gaskets Included As Required. 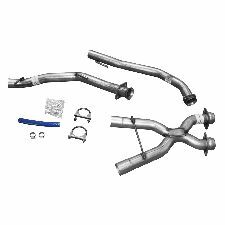 2 1/4 Inch System; Off Road Use Only; Not included in Kit.